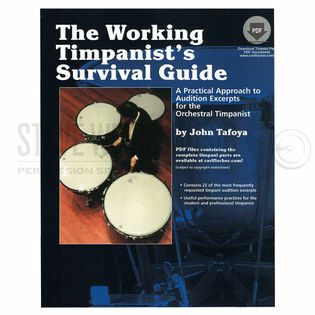 The Working Timpanist's Survival Guide by John Tafoya includes the most commonly asked orchestral timpani excerpts at auditions today. 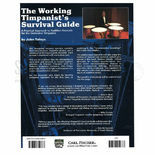 This invaluable resource contains carefully illustrated excerpts, insightful photos, and online files with timpani parts included. Each excerpt is explained with meticulous care. For the timpanist who might be learning orchestral repertoire for the first time, or revisiting it, the 'recommended recordings' list is also very helpful. 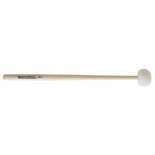 The professional timpanist will also enjoy the variety of musical and technical options presented in this book. Options include: edited dynamics for balance considerations, changes in drum arrangement, stickings, illustrations, and other items of interest. 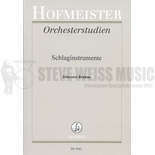 The repertoire in this volume is the most commonly requested music at auditions today. The benefits of this book will be evident from the first page. One can be confident that the information is up-to-date and relevant to current audition practices. As Professor of Percussion at Indiana University, John Tafoya graciously offers his insight and experience in a very comprehensive manner. 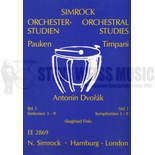 The included online files contains the complete timpani parts to each of the excerpts covered in the book. John Tafoyas book is a just have for any serious timpani student contemplating taking auditions or, for that matter, any professional timpanist interested in gaining new insight and perspective into any one of the 22 exerpts included in this book. Johns wealth of knowledge and experience both as a performer and an 殿uditionee are evident and give extra credence to this well researched and detailed method. Bravo to Mr. Tafoya for revealing his secrets of success! I can稚 wait for volume 2!!! A truly remarkable book. This all inclusive text offers remarkable insight into the most frequently asked timpani excerpts on audition circuit today. John Tafoya has provided the modern day percussionist with an invaluable resource which includes 22 of the most frequently requested excerpts, stick choices, tempo markings, and performance suggestions. Also included in this package is a CD containing the complete timpani parts. This book is a must for any serious percussionist. Bravo!